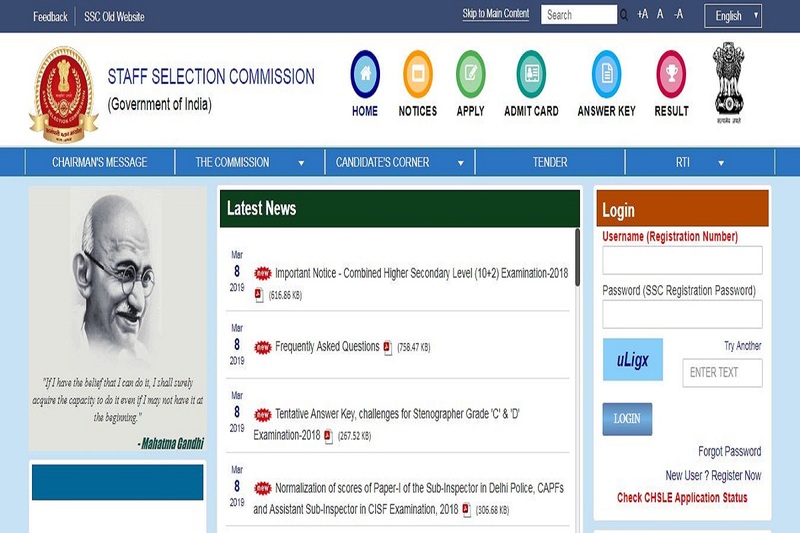 SSC examinations: The candidates can check their results from the official website- ssc.nic.in. SSC examinations: The Staff Selection Commission has released the exam calendar with the dates of the result declaration of SSC exams. The candidates can check their results from the official website- ssc.nic.in. The calendar also consists of the dates of exams that were conducted in 2017 and 2018. The results of Stenographers’ Grade ‘C’ & ‘D’ Examination, Junior Hindi Translators, Selection Posts Examination, Sub-Inspector in Delhi Police, CAPFs and ASI in CISF Examination 2018 and various other examinations will be declared soon according to the official calendar. • For more information, the candidates should check the official notice here.